When we hear of Phuket Island, the first thing that comes into our mind are the fine stretch of sand and crystal clear water of its beaches, right? No doubt that Phuket beaches are what made the island famous for all over the world. While for you who might happen to stumble upon this blog, looking for other things to do in Phuket other than beach related stuff for your Phuket travel soon, yes there are! Phuket has a lot to offer other than its beaches. Want to know more? You will if you continue reading our travel blog below! One of the places to visit in Phuket is Phuket FantaSea, the first of its kind not only in the island but also the world. 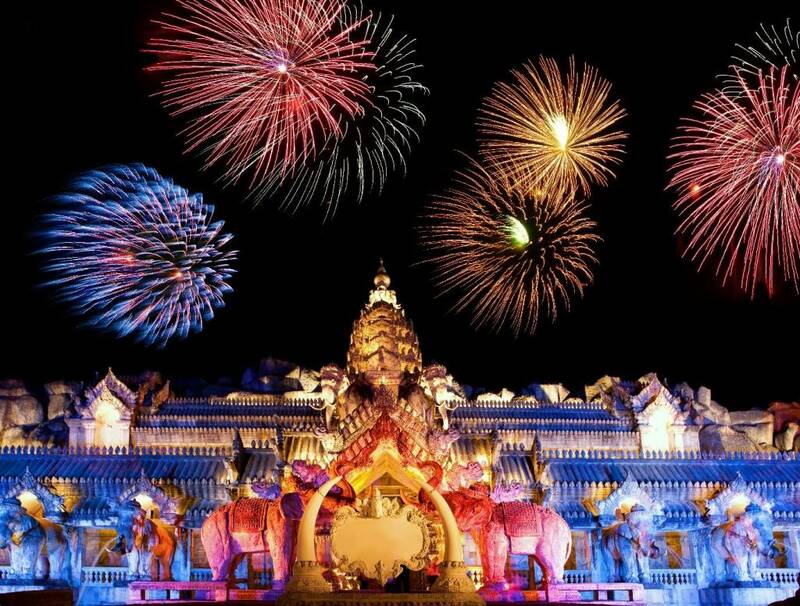 It is a Thai cultural theme park, and as what we have mentioned, the first entertainment park that has Thai culture and tradition as its main theme. There are a lot of activities inside the theme park and one of its highlights is the Phuket FantaSea show. You can be assured that you will be entertained while learning more about the culture and tradition of Thai people. One of the things that symbolizes the country of Thailand is the Elephant. 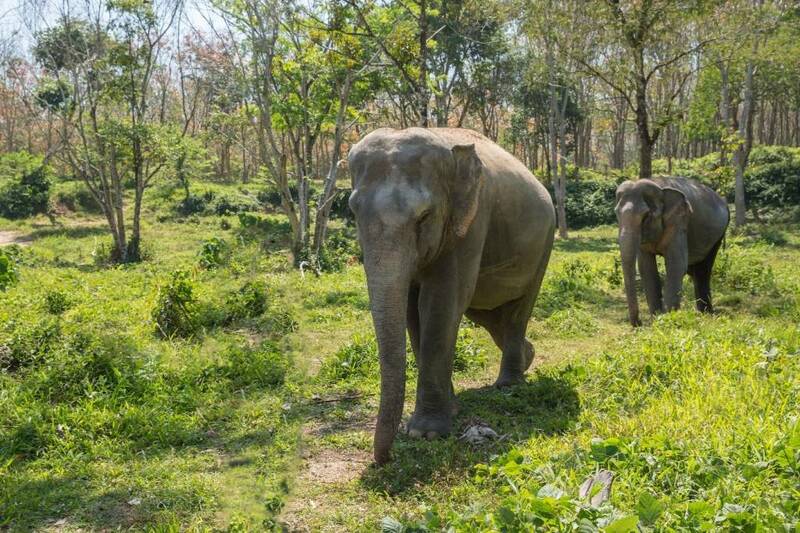 Well, if you want to see these Elephants you would perhaps think of Chiang Mai but if you are in Phuket, you don’t need to fly up north for that! Phuket has several Elephant sanctuaries and one of those is the Phuket Elephant Sanctuary. This sanctuary is situated on a 30-acres lush tropical jungle and a home to retired working elephants. You may observe how these Elephants rehabilitate while feeding them pineapples and bananas. You can also meet them up close and socialize with each other while having a bath in their fresh water lagoons. Refreshing! 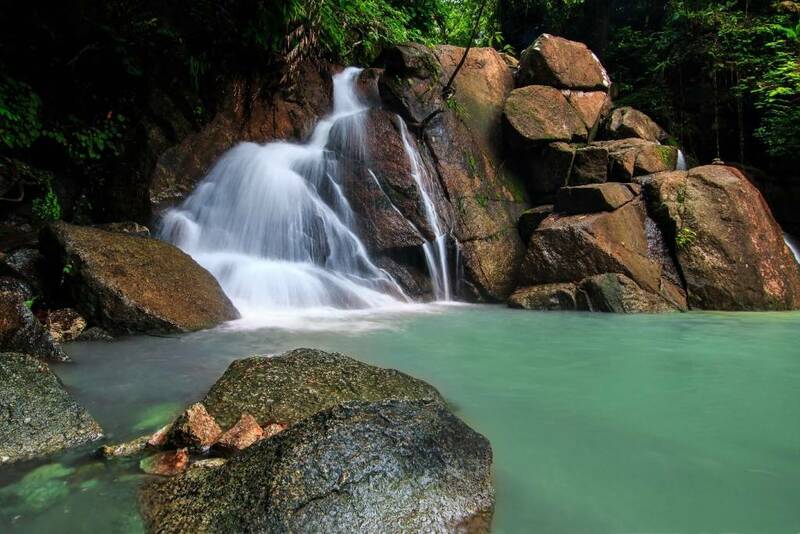 If you want to avoid the crowded beach on a weekend, you can explore some of the best Phuket attractions – its waterfalls! 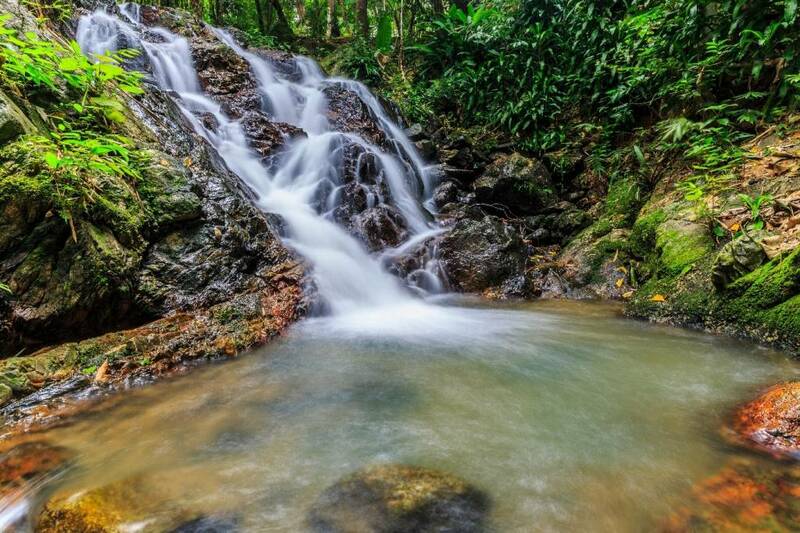 Get ready to unleash your adventurous side as you trek to three most famous waterfalls in Phuket that are Bang Pae, Ton Sai, and Kathu. There are many more waterfalls in Phuket and some may be difficult to trek but I guarantee you that once you reach your destination, it will all be worth it! 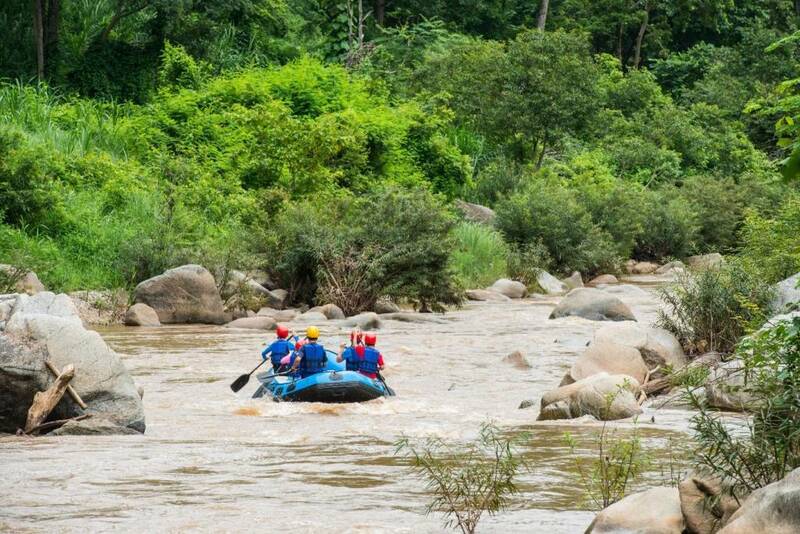 If you don’t want to trek, you can do other activities like water rafting or riding an ATV. These are fun and challenging things to do in Phuket with your friends! Explore the natural wonder of Phuket and enjoy an unforgettable day in the jungle. With this, you will appreciate more of the island’s stunning scenery and wildlife side. Ever wondered how it feels like to fly or to be a bird? That is possible though! One of the things to include in your Phuket travel itinerary is trying the flying hanuman. 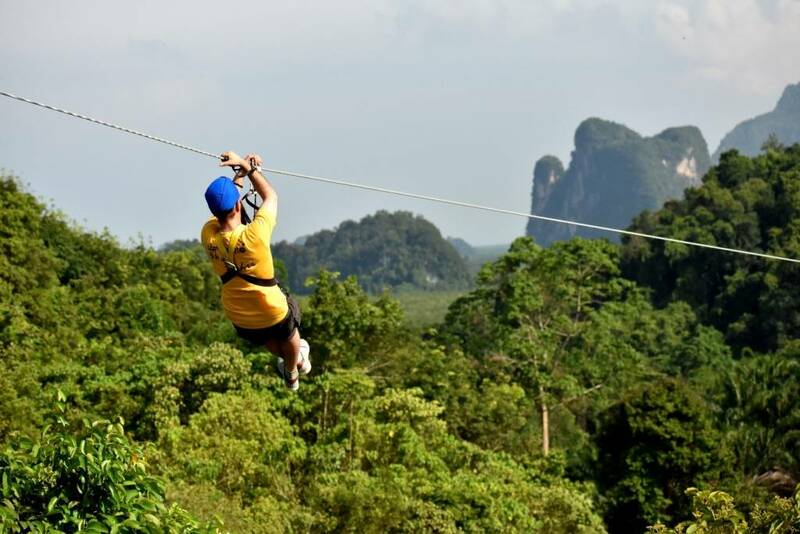 It is a zipline adventure like no other in the island that would let you fly and swing through the jungle just like Tarzan. This just proves that the beauty of the island goes way beyond its beaches that we already know of. There are actually a lot of things to do in Phuket that we need to try. Aside from enjoying its famous beaches, trying different kinds of activities such as these will let you appreciate and know more of the island. Are you down for an adventure? If yes, check out flights to Phuket at Bangkok Airways.